If you are getting ready to do a makeover on your Rockville yard, and perhaps add new hardscape features such as patios and walkways, you will probably need to bring in some dirt. The same is true if you are building a new house or garage, adding an addition onto your existing house, or building a new driveway. Or perhaps you need to level out some low spots on the property. Why can’t you just use dirt that is already there? The dirt already on your location will not meet the needs of your project. You need to provide a stable base to new structures and hardscape. If you are filling low spots, you need dirt that will pack well and not wash away. The dirt occurring naturally on your Rockville property likely contains too much organic material in it to provide a stable base for structures or filling holes. The organic material decays over time which causes the base to sink, which destabilizes the structure. “Fill dirt,” or simply “fill”, is special dirt that has very little to no organic material in it. Fill dirt is usually made of subsoil, which is found about 12 inches below the topsoil. It consists of partially broken down soil that made up of clay, sand, silt, and stones, and any other materials found in the source ground. Its inorganic qualities make it ideal as fill because it is stable. It does not decompose, shift, and settle like organic soil is prone to do. Fill dirt is usually less expensive than other types of dirt. Note, however, that fill dirt is not suitable for planting materials. Fill dirt does not have the organic composition needed to support plants. It also packs tightly, and water will not permeate it well. If you want a new garden in a low area or uneven area, you can use fill dirt to fill in low spots, and then top the area with several inches of top soil for gardening. You can get Rockville, Maryland fill dirt screened or unscreened. Screened fill dirt will have the larger rocks and materials screened out and removed. Your contractor can advise you which type of fill your project will need. 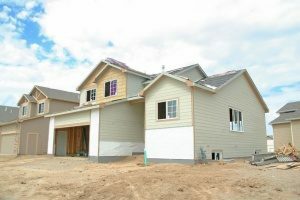 Depending on the size and nature of your project, you may need a soil engineer to make sure the project complies with local codes regarding the type of fill and quantities you need. 1. Build a Stable Base. Fill dirt is used in site preparation and base for any building structures, including a home or hardscaping for your landscape. These structures– a home, building, road, patio, or sidewalk– need a solid, stable base of support. For this purpose, you need to use fill dirt that has been screened and determined free of organic material and suitable for base fill dirt. It should be used on the project surface area to smooth it over and fill in any holes or low spots that may have been created when clearing the ground in preparation for building. 2. Raise the Elevation. Fill dirt is perfect if you want to create mounds. Mounds create sight barriers and are beautiful when topped with topsoil and plantings. These mounds greatly improve privacy. Also, fill dirt is ideal for changing the elevations elsewhere on your property. With Rockville, Maryland fill dirt, you can build raised planting beds, embankments, or terracing. Because it packs well and does not decompose, it can form a good base for raised areas or fill in low spots. 3. Correct Drainage. Fill dirt is the answer to your drainage problems. You can use it to correct poor drainage near your foundation or other areas on your property. Fill dirt is excellent material to eliminate water seeping through your foundation or flowing into your home. Proper drainage means that the ground slopes away from your home in all directions, dropping at least two inches every ten feet. The angle of slope 10 feet from the house should never be less than a 6-inch drop. Your contractor can help you determine how much you’ll need. 4. Septic Tanks. Fill dirt is the best material to use to pack in the areas around the septic tank. Fill dirt will hold the tank in place. 5. Retaining Walls. Use fill dirt to backfill and support the uphill side of a retaining wall. The fill dirt provides a great brace to keep the wall sound for many years. 6. Build an Inground Pool, or Demolish an Old One. When you excavate your property to construct an inground pool, your contractor will use Rockville, Maryland fill dirt to provide solid, even support for the pool and to level off the area around it. 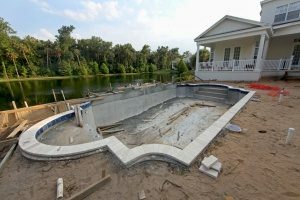 If you have an inground pool you want to remove, fill dirt will be used to fill most of the hole. 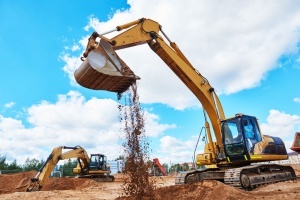 For more information about you the type of dirt you need, contact Dirt Connections, a reputable dirt supplier in your area. Dirt Connections knows how important it is that you get the correct type of dirt. Using the wrong dirt can be a very costly mistake and cause significant delays in your project. Dirt Connections can answer your questions and give you more information about their Rockville, Maryland fill dirt delivery services and related pricing.